Furia Staccato Strings by Impact Soundworks is Soundware (e.g. samples or presets that load into other products). 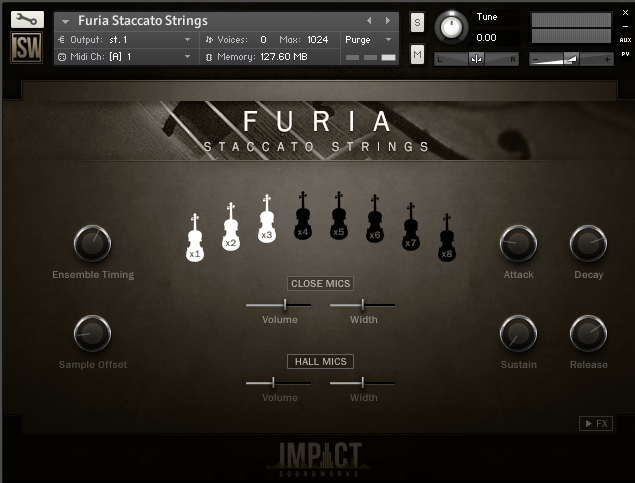 Furia Staccato Strings, developed by Impact Soundworks, is an orchestral string ensemble library for Kontakt. This virtual instrument features the authentic sound of a 22-piece string ensemble performing unison staccatos in an orchestral hall, with both close and hall mic perspectives and up to 16x round robin variations per note. 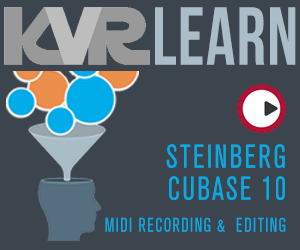 The library is geared toward composers and producers looking to create epic music, film/TV/game soundtracks, trailers, and other kinds of music that call for dramatic string stabs and ostinatos. Very lightweight and streamlined (<150MB memory). Minimal, focused interface for ease-of-use. Up to 16x round robin layers. Close + hall mic positions. Easy envelope + sample shaping controls. 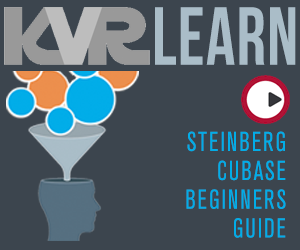 Brand-new virtual FX rack with randomizers. Dozens of custom IRs - halls, rooms + more. 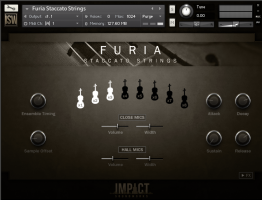 Furia Staccato Strings is available now for the list price of $39. Impact Soundworks is also offering the instrument for free with the purchase of any other ISW products totaling $59 or more. Customers can add Furia to their cart along with $59+ of other products, then use coupon code "FREEFURIA" to get this string instrument for free.